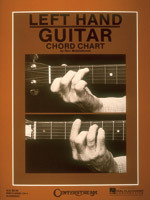 Printed on durable card stock, this "first-of-a-kind" guitar chord chart displays all forms of major and minor chords in two forms, beginner and advanced. 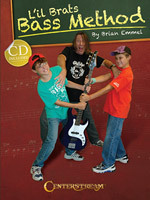 A private bass instructor for more than 20 years., Brian Emmel has written this cool book/CD pack so bass students age 9 and up can have a great time learning to read notation and tablature. The exercises use real ball lines from classic rock songs. the CD has 40 High-energy real rock band tracks: 20songs with the bass part and 20 without the bass to play along with. Guitar chords are included - plus a guitar chord chart - so your guitar-playing buddies can jam with you! Romance is in the air, and here to prove it are 37 of the best and most enduring love songs ever! Here are romantic treasures from the musical theater; whimsical novelty numbers; ballads of both true and false love; songs for sweethearts, lovers and hopefuls; sad songs of longing and heartbreak; and barbershop favorites. 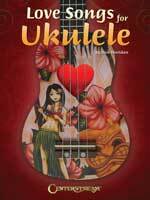 The creative ukulele arrangements in notes, tab & chords make each song rewarding and fun to play. Includes: Beautiful Dreamer � Careless Love � I Love You Truly � Let Me Call You Sweetheart � My Gal Sal � Avalon � Frankie and Johnny � Secrets � Margie � Oh By Jingo! � I Want a Girl � Ida � Moonlight Bay � and many more. Arranged in standard C tuning for soprano, concert and tenor ukuleles, with tunes readily adaptable to baritone ukulele, tenor guitars, and guitar-tuned banjos. There is a vast amount of knowledge throughout the world about how to make the harmonica sound better and play better, but little of it is written down. This fully illustrated book solves the problem. It contains sections on: how to buy a harmonica, common problems, advice about tools and techniques for using them, the basic parts of the chromatic harmonica, solutions to improve sound and functionality, experimenting on old harmonicas, tuning, and much more. For chromatic players, but diatonic players will learn just as much. Features chords, scales, tunings, hot licks and songs. Shows over 300 chord fingerings, 18 hot licks used for intros, endings and turnarounds, how to read tablature, several scales and 2 songs.